Home / Announcing our corporate partnership with John D Wood & Co.
‘‘As two organisations engaged in housing people and with communities in and around London, this partnership has a really strong base. Both of us value heritage and also understand the importance of place and housing as a key contributor to people’s happiness and wellbeing. It is great that John D Wood & Co’s staff have been captivated by the magic of the Royal Hospital and its marvellous inhabitants - the Chelsea Pensioners". John D Wood & Co Ltd have been promoting our partnership through on-line adverts and as e-mail footers, all helping contribute to a key partnership objective of ensuring more people are aware of us as a charity and that we depend on public support and donations. Staff have also been getting involved in fundraising activities. Russell Williamson and Sophie Leigh-Bankes completed mammoth sponsored bike rides over the Summer months raising in excess of £2,200 between them. Russell cycled 300 miles from Chelsea to Land’s End while Sophie cycled to Paris in only 24 hours. Sophie Deedes, together with some of her colleagues, enjoyed a day at the show jumping with Chelsea Pensioners at the Longines Global Champions tour 2018. Sophie said "It was wonderful to watch the show jumping against the spectacular backdrop of the Royal Hospital. We all had a great day and loved the time spent chatting with the Pensioners. It was a roasting hot day and really highlighted the urgent need for the new lighter weight scarlets". The Chelsea Pensioners also welcomed staff from John D Wood & Co for an exclusive pub quiz night at the Chelsea Pensioner Club on Thursday 4thOctober. The Pensioners proved that the wisdom of advanced years can overcome youth and enthusiasm, narrowly triumphing on the night. "We are thrilled to be working with The Royal Hospital Chelsea which is so well known the world over. 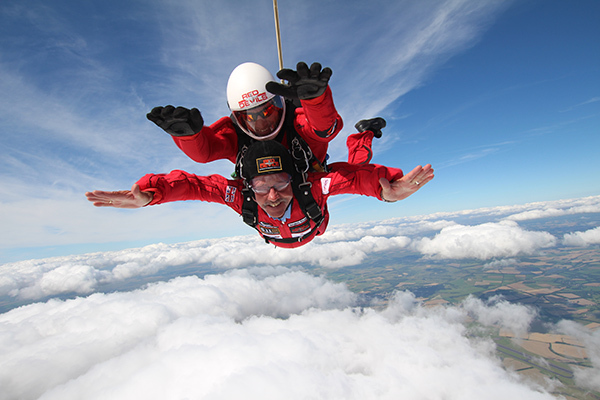 A number of our staff have personal connections to the Royal Hospital and fund raising has already began in particular with support of The Scarlets Appeal." For more information on the partnership and opportunities to get further involved with the Royal Hospital Chelsea, visit our Corporate Partnership page.